Lemongrass, also called fever grass, is a perennial plant with thin, long leaves. Lemongrass is an herb which belongs to the grass family of Poaceae. It utilized for its distinct lemon flavor and citrusy aroma. It is a tall, perennial grass which is native to India and tropical regions of Asia. It is a coarse and tufted plant with linear leaves that grows in thick bunches, emerging from a strong base and standing for about 3 meters in height with a meter-wide stretch. Along with its culinary uses, lemongrass is useful in alternative or complementary remedies for a wide range of ailments. Nutritionally, lemongrass is a good source of vitamins A and C, folate, folic acid, magnesium, zinc, copper, iron, potassium, phosphorus, calcium and manganese. It also has minute traces of B vitamins. It has many beneficial medicinal properties including analgesic, anti-inflammatory, antidepressant, antipyretic, antiseptic, antibacterial, antifungal, astringent, carminative, diuretic, febrifuge, galactogogue, insecticidal, sedative, and anti-cancer properties. The leaves, stems and bulb of lemongrass are used in various treatments. Lemongrass promotes healthy digestion. It has antiseptic compounds that effectively kill bad bacteria and parasites in the digestive tract and repopulate the good bacteria in the colon. For a healthy digestive tract, drink lemongrass tea on regular basis. Lemongrass tea, however, is not recommended for small children. Lemongrass contains antimicrobial, antibacterial properties and also ample amounts of vitamin C which makes this herb an effective ingredient in treating respiratory disorders. Lemongrass is beneficial in treating respiratory disorders like colds, cough, nasal blockage and bronchial asthma as well. Lemongrass is a rich source of iron, the deficiency of which causes hair loss. Hence, lemongrass oil is a great remedy for hair loss. It’s an essential oil, so you can mix it with your favorite carrier oil and massage your scalp and hair. Leave it on for about an hour and rinse it off Pantene Pro-V Nature Fusion Shampoo. Lemongrass helps in cleansing and flushing harmful toxic wastes out of the body, as a result of its diuretic properties. Detoxification helps in regulation of various organs of the body, including the liver and kidney, while also helping to lower the levels of uric acid. The diuretic effect of lemongrass helps in increasing the quantity and frequency of urination, which helps in maintaining digestive health, eliminating accrued fats, and assisting in maintaining a clean system. 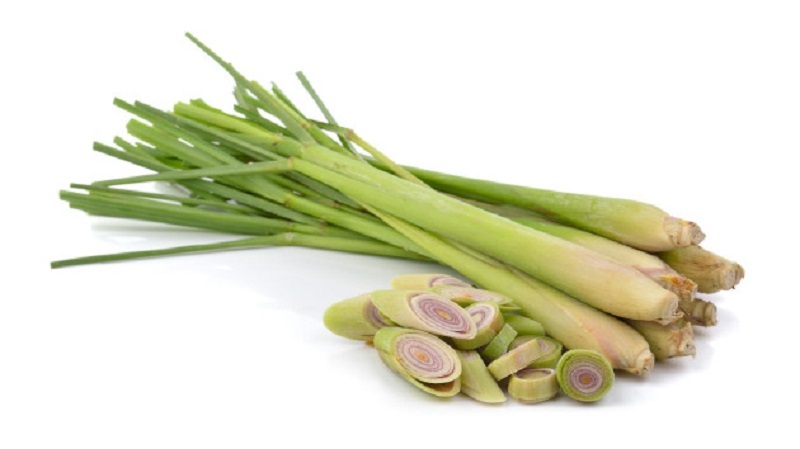 Lemongrass is known to possess potent anti-cancerous and an antioxidant property called as citral. This component gives lemongrass its distinctive lemony scent and this property causes apoptosis or cell suicide. Lemongrass is highly beneficial in treating insomnia as this herb helps to relax the muscles and nerves in the body thereby induces deep sleep.